For its 2018–2019 season, the Harriman-Jewell Series presents three world-class orchestras in what Clark Morris, the Series’ executive and artistic director, calls “the whole package.” Not only are the Philadelphia Orchestra, the Mariinsky Orchestra and the San Francisco Symphony appearing in Kansas City with their music directors, but each concert will also feature an internationally acclaimed soloist. “It’s one of the things that makes the whole package so attractive,” Morris said. “When we think about booking an ensemble, like The Philadelphia Orchestra, we’re not just interested in the orchestra, but who the conductor is going to be. So often when an orchestra tours, it’s not the main music director that tours with the orchestra because their time is so precious. So when we can bring the actual conductor, that’s terrific and wonderful. On Sept. 26, the Philadelphia Orchestra will perform in Helzberg Hall conducted by its young superstar music director Yannick Nézet-Séguin. 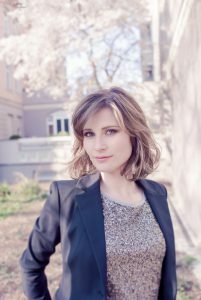 But to put that “sheen” on the package is violinist Lisa Batiashvili, who will be the soloist for Tchaikovsky’s Violin Concerto. The Tchaikovsky Violin Concerto is one of the most popular violin concertos in the repertoire. When it was first performed on Dec. 4, 1881, in Vienna, it received mixed reviews. The critic Eduard Hanslick wrote that “the violin was not played but beaten black and blue.” It didn’t take long, however, for the concerto to establish itself as an all-time favorite with both performers and audiences. On Oct. 29, Valery Gergiev will conduct the Mariinsky Orchestra in Helzberg Hall. Adding luster to the concert will be pianist Denis Matsuev, who will perform Rachmaninoff’s Rhapsody on a Theme of Paganini. 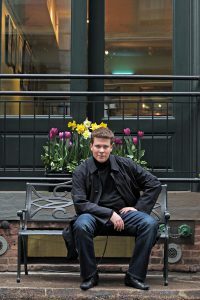 Matsuev, whom The New York Times praised for his “athletic virtuosity and steely power,” gave a solo recital on the Harriman-Jewell Series in 2016. “Denis is a powerful Russian pianist in the grand Russian tradition,” Morris said. “He won the Tchaikovsky Piano Competition in 1998 and has had a fantastic career. I think that anyone who saw him in recital on our Series will absolutely want to see him again, particularly paired with Valery Gergiev and the Mariinsky Orchestra. For tickets and more information, call 816.415.5025 or visit www.hjseries.org. Previous Post Four Companies. Four Choreographers. Four World Premieres.